As Reading-based outfit Saltwater Sun prepare to release their new EP this Friday, they follow on from their recent single Blood returning today to share its soaring title track The Great Deceiver. 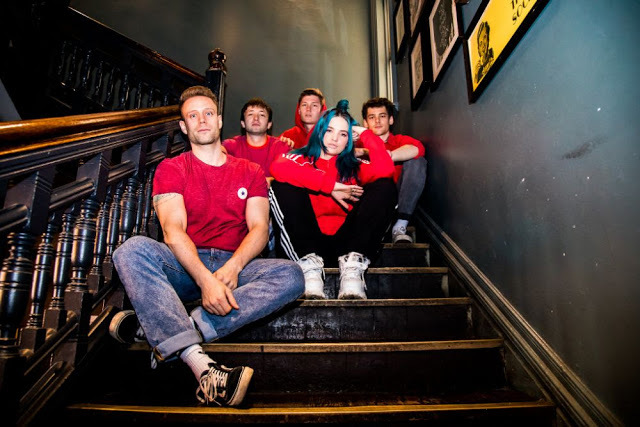 Built from its softly strummer guitar intro, the band waste no time in unleashing their energising force through charged up guitars and an infectious vocal delivery. The track's comes backed by a deeply personal meaning too as frontwoman Jen Stearnes explains: "I wrote this song to my younger self. I always wanted to sing but doubted myself because I hated my appearance and feared it would be scrutinised if I put myself out there. We all grow up with unrealistic beauty standards, or expectations of how we should be and that makes me think about all the other people have been held back, or made to feel small or like they don’t have a place by those ridiculous standards and expectations. I’ve found confidence over time, but this song services as a little pep talk every now and then, and is here for anyone else who needs it; The Great Deceiver is about finding your voice, not giving in to self doubt and learning to be comfortable in yourself, whoever that is". Waste no time, take a listen for yourselves below. Saltwater Sun are Jen Stearnes (vocals), Joel Neale (guitar), Dan Kingham (guitar), Rob Carter (bass) and Ben Chandler (drums).